← IF YOU BUY WHERE THE ACTION IS, DO YOU HAVE A RIGHT TO COMPLAIN ABOUT THE ACTION? From a business standpoint, social media have accomplished a major feat – they’ve added a human, personal dimension to businesses that before never really existed. 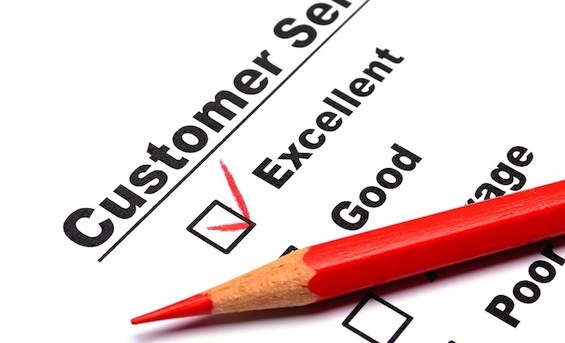 The cornerstone of any business is its customer service practices. And, this is where social media have been able to take hold and make a difference. Forward-thinking businesses have leveraged social networking platforms to engage, elicit customer satisfaction and increase positive brand recognition and reputation. When used effectively, social media can turn any business into a customer-friendly entity that people want to engage with and be a part of. Happy, satisfied customers are what will drive a business into the stratosphere of success! And, for the real estate sector, that’s priceless. 1. More Visibility – In terms of customer service, it’s good practice to be completely visible and transparent. You want your customers to be able to see your interactions with and responses to other customers. It’s likely that more than one of your customers have similar questions or comments, and by making your communication visible, you are helping out a number of customers with one response. Social media sites cultivate community surrounding your brand. 2. Turn it Around Quickly – When customers seek support with respect to your services on social media platforms, they expect a quick if not immediate response. Monitor every day how customers discuss and respond to your products & services and stay a part of the conversation to better understand the community supporting your brand. 3. Keep Responses Consistent – Be consistent on all social media platforms in responding to customer questions and comments. If, for example, the same question is posted on both Facebook and Twitter, ensure that your response is the same on both sites so as to avoid any confusion. Remember, brand recognition and accuracy are crucial elements in inspiring assuredness and credibility within your customers and this goes a long way in terms of brand loyalty. 4. Always Stay Organized – While social media are vital in your customer service initiatives, it can be a challenge to keep up with each platform on a daily basis (in order to keep customers happy and engaged, as in point #2). Allot some time each day to spend on your sites so that customers maintain respect for your brand and view your business as reliable and trustworthy. If possible, enlist support team members to maintain each site, but ensure that you’re all on the same page in your responses (bear in mind point #3) – be consistent. 5. Maintain Your Human, Personable Side – They are, after all, called “social” media and it’s that social component that engages customers and further promotes brand loyalty. People always respond positively when they know that their needs are being met by another human being – someone who takes the time to listen and care. It makes them feel important – that they’re more than just another customer. When someone posts a question or concern on your business’ Facebook page, that person should feel as comfortable as if he were simply posting on a friend’s wall. And, that’s the real benefit of social media for your customer service practices. Remember, social media are about networking. If you incorporate the protractiles 5 elements into your customer service initiatives and make it a positive experience, people will respond in kind and surely spread the word to all their friends about what wonderful service your business provides. It’s worth the effort! This entry was posted in Blogs, Facebook, LinkedIn, Real Estate, Social Networking, Traffic, Twitter and tagged Customer Service, Social Media for Customer Service Initiatives. Bookmark the permalink.